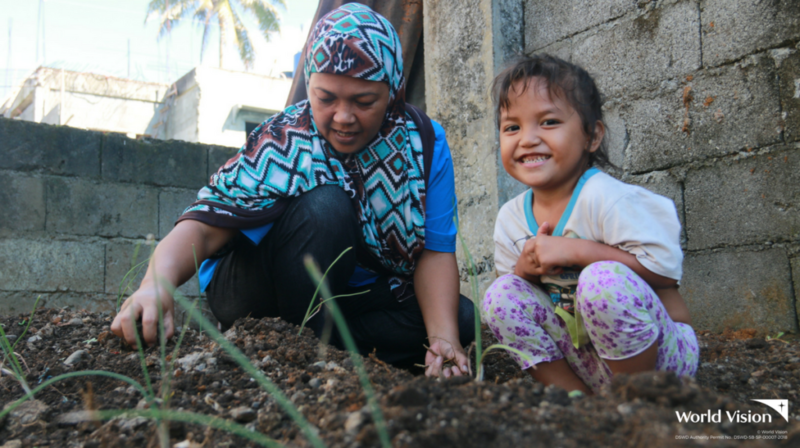 A small corner lot in Marawi City has become an important place for the community people of Basak Malutlut. 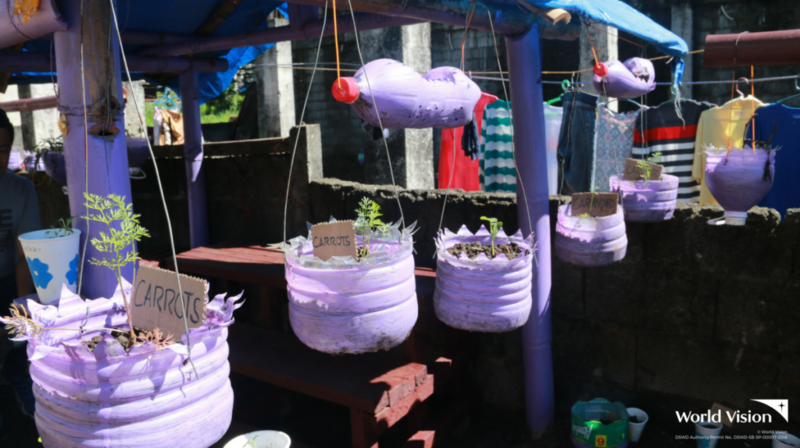 They call it Bahay ng Pag-asa, a representation of how their healing as a community started. “Bahay Pag-asa is where we usually meet as a group. This may seem small but at the back of it is the garden where we became closer as a village. Here, we discuss how we can better improve our community garden, what seeds to plant next and who gets to clean it every day,” shares community leader, Isnaira. Bahay ng Pag-asa started as a cash-for-work group output. 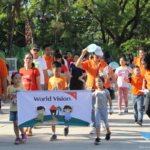 In January, 2018, World Vision implemented its cash-based program that aimed to help provide foods and capital for families’ livelihood. 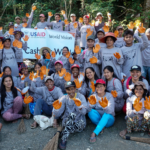 The 10-day program encouraged the people from five barangays to come up with projects that will help their communities. In return, they received P2500 each. 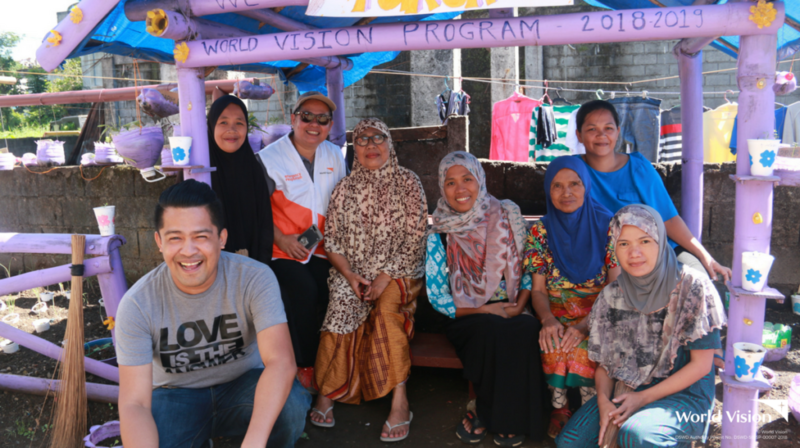 “It came at a time when most of us were wallowing from the pains of the Marawi crisis. None of was really good at gardening because most of us were traders. But that helped us divert our attention from our pains to what we can do as a group,’ explains Isnaira. Bayanihan became evident in the days that followed. The villagers, whether beneficiary or not, contributed by providing garden tools, expertise and even time to start the community garden. “Can you picture us when we had our first harvest in the garden? 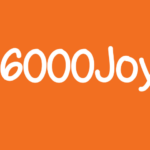 We were overjoyed! We now have a source of food and everyone is benefitting from this. We celebrated as a community and every day since then, this place became our happy place, our place of hope,” adds Saad, one of the active men in the community. It was the beginning of a more intentional interaction among neighbors which was new in the village. Before the siege, only relatives or really close neighbors got to mingle with each other. Busy with their own lives, they didn’t have the time to get to know each other more deeply. “This project became more than just a garden to us. First, it helped us divert our attention from anger, pain and despair to what we can improve on. 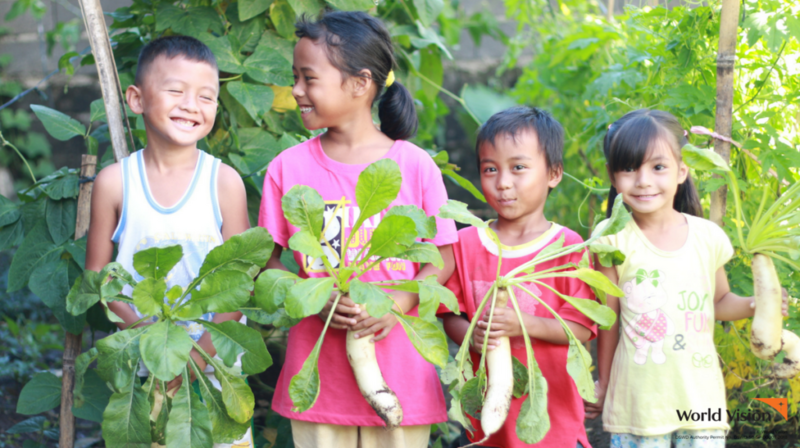 Second, it created a friendlier environment for us neighbors and last, our talks on gardening led to talks on how we, as a community, can prevent what happened during the Marawi crisis.” Their village in Basak Malutlut is where the cross fire started last May 23, 2017. For Isnaira, it matters that their community is united in battling extremism. It matters that everyone understands each other and everyone feels belongingness to avoid being lured by extremists. Their children, young as they are, are being taught the value of peace. “This garden, this bahay pag-asa, became an instrument in helping us solidify our relationship as a community and I am confident that more than ever, we are one in battling terrorism,” she ends. Jessa lives in a house on a mountain surrounded by coconut trees. In this quiet home, she built her dream of becoming a teacher. You may wonder: What's your chance of having TB, too?